GERING & LóPEZ GALLERY is pleased to present An Ideal For Living, an exhibition of recent painting by New York based artist Michael Bevilacqua. This will be Bevilacqua's third solo exhibit with the gallery. The exhibition showcases a single, monumental painting titled An Ideal For Living; a canvas that the artist has spent more than the past year painting. As with a number of Bevilacqua’s works, the title references a particular source of music, in this case the 1978 debut album by the post-punk rock band Joy Division. The band became an obsession for Bevilacqua, so much so that the painting grew along with his focus, consuming his attention and mirroring his state of mind. Each song, each lyric began taking on particular significance for Bevilacqua, who found many parallels to his own life and reflected his outlook on his surroundings. 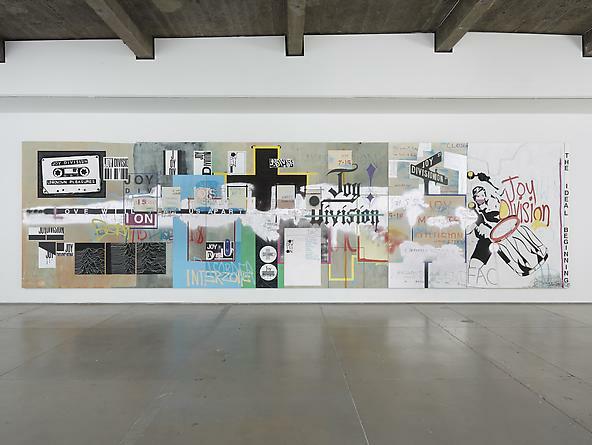 An Ideal For Living in fact created the rhythm of the artist’s life over the past year, further loosening his painting style and bringing about a series of work that he refers to as ‘the New Dis Order.’ Clearly diaristic in nature, the 30’ painting features an eclectic mix of color, text, visual styles and process. As rich as one would expect a yearlong work to be, the painting is also nuanced, with areas of sharpness and clarity layered upon washes of color and moody hues. 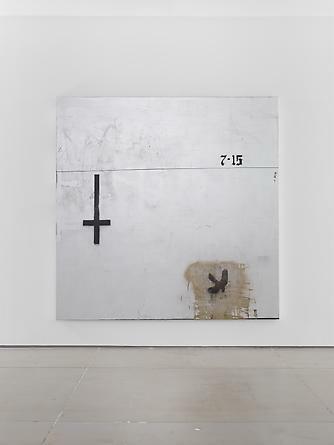 Juxtaposed against this singular outpouring, other new works take a different approach, becoming extremely minimal and hauntingly symbolic, drained of color or highly textured. Michael Bevilacqua was born in Carmel, California in 1966. He attended Long Beach State University and Santa Barbara City College, later continuing his studies at the Cambridge College of Art and Technology in Great Britain. Bevilacqua has exhibited internationally including solo shows in Beijing, Copenhagen, Milan, Tokyo, Madrid, Barcelona, and New York. 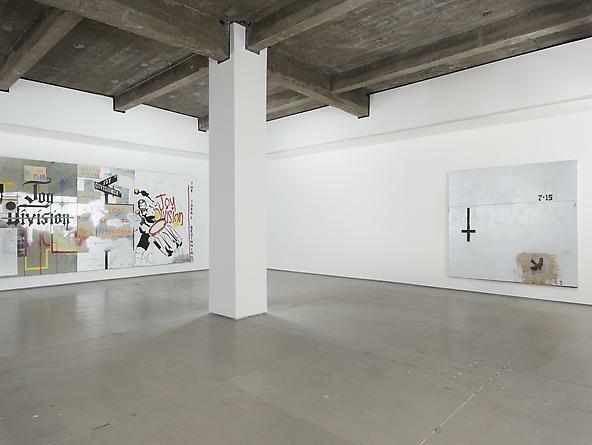 He has also exhibited in group shows at Palais de Tokyo, Paris, France; Deste Foundation, Athens, Greece; The Phoenix Art Museum, Phoenix, AZ; and The Aldrich Museum of Contemporary Art, Ridgefield, CT. His work is in numerous public collections including The Mitsuni Collection, Tokyo, Japan; San Francisco Museum of Modern Art, San Francisco, CA; Deste Foundation, Athens, Greece; Astrup Fearnley Museum, Oslo, Norway; The Whitney Museum of American Art, New York; and The Dallas Museum of Art, Dallas, TX. Summer gallery hours are Monday through Friday, 10am to 5pm. For further information please contact Laura Bloom at 646.336.7183 or laura@geringlopez.com.